Romania is taking big strides in rooting out high-level corruption, new data shows, in stark contrast to neighbours Bulgaria. The duo, who both joined the EU in 2007, have been ranked among the worst in the bloc for perceptions of bribery and fraud. But a year since a corruption scandal brought down Romania’s government, figures released to Euronews reveal the scale of Bucharest’s crackdown. Romania’s National Anti-Corruption Directorate says it has helped put scores of MPs, mayors and magistrates on trial over the last two and a half years. Last year, it said, 1,250 people were put before the country’s justice system, including former prime minister Victor Ponta, who denies any wrongdoing. Also among them were 16 MPs, five ministers, five senators and 97 mayor and deputy mayors. That compares with 1,167 people being sent to trial in 2014, up from 451 a decade earlier, in 2004. But Bulgaria, criticised by Brussels in January over its failure to produce ‘concrete and tangible progress’ on corruption, has only recently set up a centre for tackling the problem, more than a decade behind Romania. Experts say corruption has hit both countries economically, as it discourages foreign firms from investing. What has sparked Romania’s progress on corruption? 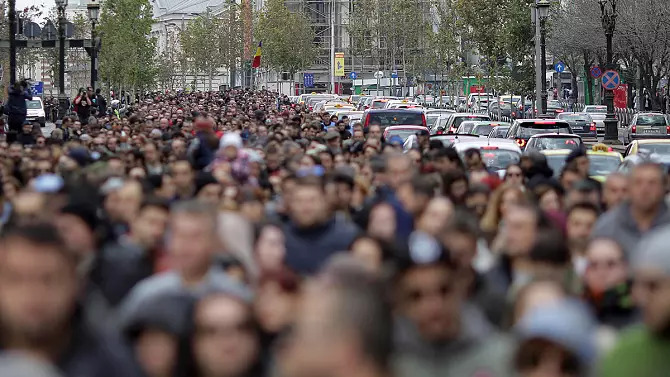 The fact Romania set up a directorate (DNA) to tackle corruption in 2002 has helped its progress in fighting corruption, according to Eli Gateva, a visiting fellow at the London School of Economics and expert on south-east Europe. Early results were slow but the last four years have been impressive, she said, as institutions have become more independent and budgets increased. Valentina-Andreea Dimulescu, a public policy researcher at the Anticorrp project, told Euronews DNA had also benefited from having Romania’s intelligence services helping them amass evidence in corruption cases. Another key moment was the Colectiv nightclub fire in Bucharest last October that killed 64 people. 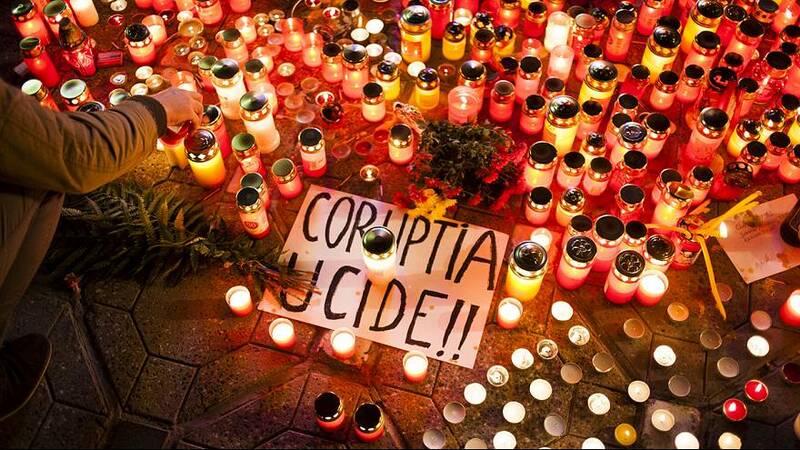 Protesters linked the deadly blaze to corruption, forcing the resignation of PM Ponta and his government. Dimulescu says the tragedy had strengthened people’s resolve in reporting corruption. Is it really all rosy in Romania? Not necessarily. Experts have welcomed Romania’s progress in tackling high-level corruption, but say it is still a problem in wider society. “We don’t really see a change,” said Dimulescu. “For example it was a kind of shock in the local elections we had in June, in several counties people voted for the same corrupt mayors that they always have, by saying ‘yes, we know they are corrupt but they did this, this and this for us, so we should stick to the devil we know rather than to take a chance on somebody new’. Others say little has been done – aside from the tightening of safety rules at public events and a crackdown on bureaucracy – to help tackle the corruption and maladministration linked to the Colectiv fire a year ago. Why is Bulgaria trailing Romania on fighting corruption? Bulgaria still lacks the institutions capable of tackling high-level corruption, despite more than a decade of pressure from Brussels, says Dr Gateva. “There have been a number of different institutions that the Bulgarians have tried to set up in order to deal with organised crime or corruption but they’ve been very weak, fragmented and uncoordinated,” she said. “There’s been a lack of vision and leadership. 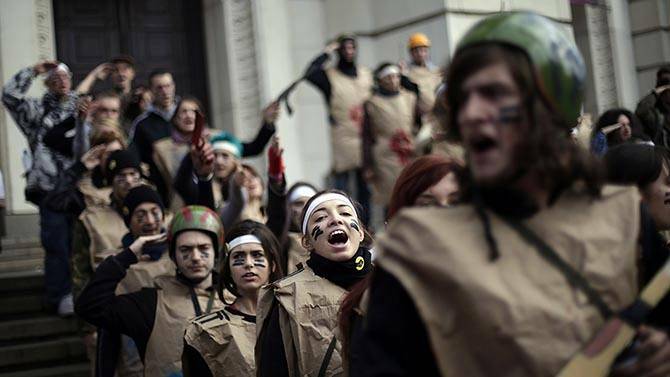 “Brussels has been putting pressure on Bulgaria for how many years? Ten years, now. But for the first time we can see some of the NGOs and civil society trying to put this topic firmly on the agenda. “We’re going to have the presidential elections on Sunday (November 6) and we have seen some of the candidates have agreed to be interviewed and reflect on their vision of how the judicial system should be reformed. Euronews asked BORKOR, Bulgaria’s newly-created anti-corruption centre, to comment, but it has not yet responded. The European Commission has been keeping tabs on Romania and Bulgaria regarding their efforts to tackle corruption for nearly a decade, producing annual progress reports, normally published in January. Dimulescu says Romania, given its efforts, wants to be free of this monitoring, but NGOs and some of the judiciary feel they still play an important role in driving reforms. Elections could also play a part: Bulgaria goes to the polls on Sunday to choose a new president, while Romania has parliamentary elections on December 11. Have you got a story to tell about corruption in Romania and Bulgaria? Send your article feedback to chris.harris@euronews.com or via @lyonanglais on Twitter.